The ultimate taste treat. The tangy sweet flavor explodes in your mouth.Great snack, but, oh, so much more... add anywhere you want a flavor burst! 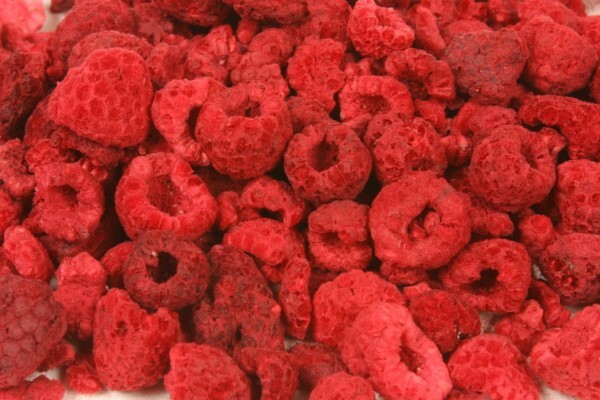 Use anywhere you would use fresh or frozen raspberries they are so convenient and ready to use anytime. All my birds refused to touch this. Total waste of money. Izzy, black capped conure, loves these, so I give him a few every day. He even prefers them to fresh raspberries. I use them as treats. Sometimes even the others will beg for one. A Bit Expensive, But Adored By Our Eclectus! I was so pleased to discover this organic treat for our bird. He loved them right from the start and enjoys them added daily to his dry food. 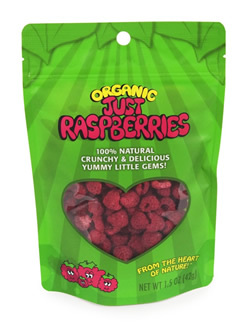 We also discovered that our possum rescue kid loves these -- it's really cute to watch him crunch on them. even more than nutriberries, which I did not think was possible. Green cheek and Black cap conures. The others are so so about them. My Grey loves to forage for raspberries. Q: Is this appropriate for cockatiels? A: These are great treats that are good for any size bird - they can be easily broken up for smaller birds.